We have a diverse range of Telstar trampolines which are for sale in our online store. Our range of Telstar trampolines come in various sizes and would fit perfect for any size garden. Our main focus is to keep your children safe, which is why all of our trampolines have built-in safety enclosures. Telstar are one of the biggest trampoline suppliers in the UK and we are happy to say that we work alongside with them. Telstar and JMP Store's trampolines are designed to keep your children safe. ‘Exercise Through Play' is our slogan, this is because we believe that children should be healthy and active. Our Telstar trampolines are made for exactly that, keeping your children happy whilst exercising. On top of this, most of our Telstar trampolines come with a free circus tent, a cover and a ladder! Also, if you're in need of assistance, we have a ‘Home Build Service' which will build your trampoline for you. All of our Telstar trampolines are on sale and at affordable prices, save up to 50% when buying a trampoline from us. Compared to our competitors, they can't beat prices like ours. Don't miss out on our extensive selection of Telstar trampolines as you won't find a better quality of them anywhere else! Take your time and browse through our wonderful range of Telstar trampolines, the trampoline you desire is only a click away. 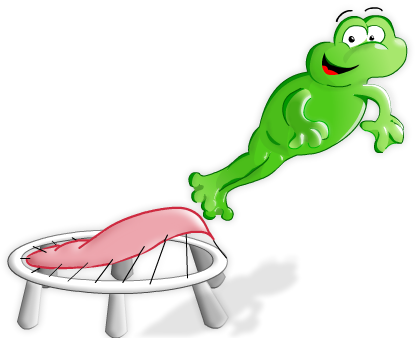 To see some of our other manufacture trampolines such as our Cortez trampolines or our Jumpking trampolines, click on the links. Here at Trampolines Online, we are very passionate about all of our trampolines for sale and we strongly believe that our Telstar trampolines are ideal for your children to stay active and healthy when bouncing on a trampoline. If you have any questions about our trampolines, simply call us on 0333 3660062 and one of our staff members will be more than happy to answer all of your questions.